In recent years, consumer interest in all types of natural products has increased dramatically, from food to shampoo to lawn care products. Given how much people love their pets, it makes sense that natural pet products are gaining popularity too. From natural flea and tick remedies, to hemp toys and collars, to all-natural food and treats, there’s a natural option for pretty much every pet-related product. 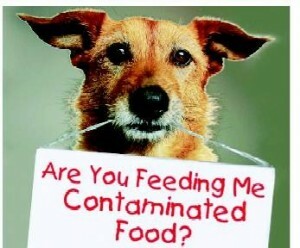 The tainted pet food recalls of 2007 increased consumer interest in natural pet foods. The market for pet foods made of all natural, human-grade ingredients has been booming ever since. “After the recalls happened, I was uncomfortable shopping for dog food because it seemed the recalls were forever expanding,” says Kathleen Neuheardt. She’s the owner of Global Dog Natural Pet Products, based out of Littleton, Colorado. Neuheardt wanted to feed her puppy natural foods, but she didn’t have time to hunt down a specialty pet food store. She knew other pet owners who were in the same situation, so she started researching what went into pet food and how it was made. She then decided to start selling high-quality, all-natural pet foods online. Neuheardt’s online store ships supplements, grooming supplies, eco-friendly toys, bedding, collars and leashes, safety gear and natural pest control products to consumers across the country. In January 2005, well before the pet food recalls, Mindy MacAulay opened Buddies Natural Pet Food, Ltd. Her shop specializes in hormone- and antibiotic-free raw foods for pets. Essentially, it’s a butcher shop catering to dogs and cats. “We have a complete line of protein — beef, bison, chicken — and will cut, grind, freeze and package according to the needs of the customer,” says MacAulay. By “customer” she means dog or cat. MacAulay also incorporates fresh vegetables into her products. Jack Zambelli founded NaturesPet.com in 1996. The company is based out of Elmwood Park, New Jersey. (The store’s original name was Natures Pet Market Place, but it was later changed to reflect the fact that it’s an online-only operation). NaturesPet.com carries all-natural pet foods and products made from organic, human-grade ingredients. “Our product line is mostly limited to products that promote wellness rather than curative or medicinal type products,” says Zambelli. With more than 30 years of experience working in retail and direct marketing — much of it as an upper-level executive — Zambelli knew what it would take to launch a successful business. He says one of the first things retailers need to decide is what types of products they want to carry. Zambelli says choosing a channel of distribution is another key decision. For Zambelli and Neuheardt, web-based virtual stores were the best option. Because MacAulay’s raw pet food is perishable, she markets locally and operates out of a former butcher’s shop. When MacAulay’s store first opened she had 25 regular customers. About a year later, she had a customer base of approximately 300 — a solid number for a local specialty store. That’s why MacAulay encourages positive word-of-mouth by focusing on her customer service and by promoting the store at local events — especially dog and cat shows. She also offers in-store promotions and has a loyalty program where customers who have spent $100 can get a discount on their next purchase. In the natural pet product business especially, it’s important for retailers to be well educated on their products. They can then better inform customers about why they should choose their products.